Dan Rothstein is co-director of The Right Question Institute (RQI), a nonprofit organization whose work derives from an original insight named by parents in one low-income community about a key obstacle to effective participation: not knowing what to ask. Dan, co-director Luz Santana, and colleagues have worked for more than two decades creating simple teaching tools that make it easier for all people, no matter their level of income or education, to develop key learning and advocacy skills that are also democratic skills. Rothstein and Santana are co-authors of Make Just One Change: Teach Students to Ask Their Own Questions (Harvard Education Press: 2011), which has become a best seller in the United States and Japan, translated into multiple languages and has contributed to widespread, inspiring adoption of RQI’s Question Formulation Technique by nearly a half million teachers in 140 countries all over the world. RQI’s methods have proven effective in a range of areas including a NIH-funded study on how to increase patient activation in health care, strengthening parent participation in their children’s education (featured in a book co-authored by Rothstein, Santana and Agnes S. Bain: Partnering with Parents to Ask the Right Questions: Building Strong School-Family Partnerships), increasing voter participation in low-income communities as well as promoting innovative thinking and problem-solving in the private sector. Dan has been a keynote speaker and featured presenter at, among others, Harvard Medical School’s Symposium on the Science of Learning; the Library of Congress, TEDxSomerville, and leading technology companies such as Microsoft and Google. RQI’s work has been highlighted in various media, including NPR’s Here and Now, KQED’s The Forum, The Boston Globe, Education Week and more. 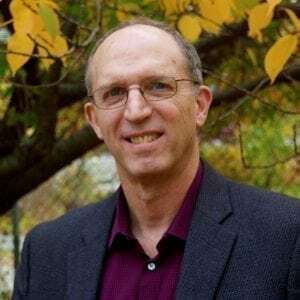 Dan is a graduate of Harvard College and worked as a youth worker before earning a doctorate from the Harvard Graduate School of Education, where he was an editor of the Harvard Educational Review. He is also now working as a co-principal investigator on a National Science Foundation EAGER grant to improve doctoral students’ question-asking abilities and contributes to an online course on Best Practices in the Question Formulation Technique offered by the Harvard Graduate School of Education. Dan is currently working on advancing new ideas about increasing democratic participation, a new theory of learning grounded in question formulation, and further applications of RQI’s educational strategy.